Red was the color of my face while watching Ryan Lochte take on Michael Phelps. Whether I was flushing from nerves or Lochte’s hotness is still up for debate. White was the color I saw when peering over the bed. All lady-like behavior goes out the window when trying to stay cool in the 110-degree weather. Blue was the color I finally decided upon for my new glasses. Even better than the color is that I can now see out of them. Wishing you a safe and fun holiday! PS. There’s still time to win: Comment on my 300th post by July 9th to be entered in a drawing for a $10 B&N gift card! Oh hai awesome glasses! I've never had to wear specs and that's been a sadness for me, because I think they make you look smarter and more sophisticated all at once. Ok, now explain the swimming obsession to me. I have so many friends who LOVE MP and I just don't get it. He's built like a creepy fish with legs! Those glasses are too cute! But really, I want to come over for those kabobs. Oh my gosh, YUM. you do realize that now Lochte is going to bring new visitors to your blog, right??? 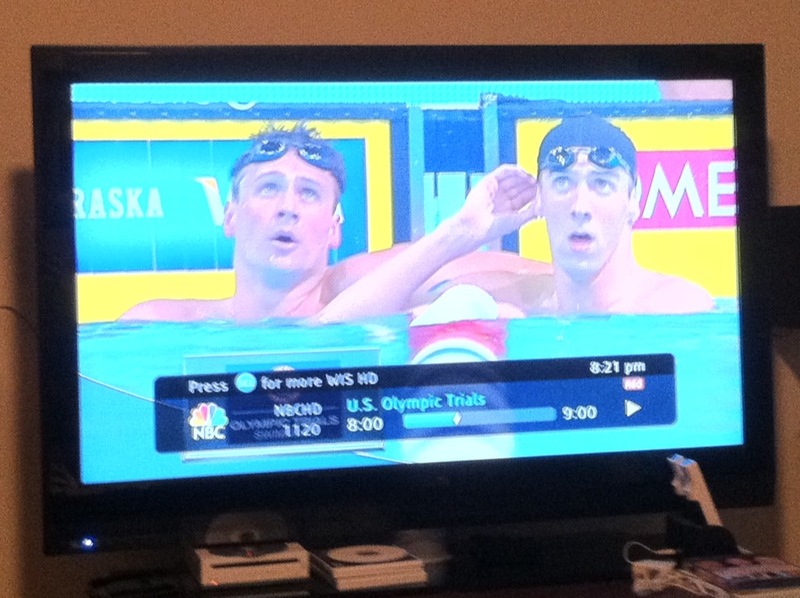 Oh, you were going for the Lochte groupies… I get it!!! How fun! 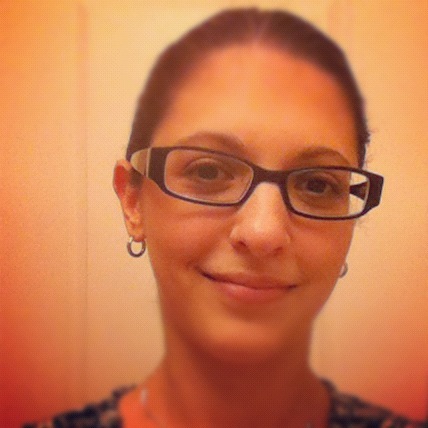 I love your new glasses – I'm seriously in need of a new pair. And I'm so excited about some Olympics swimming. I like your red-white-and-blue approach! And I can relate to the red-hotness… that guy IS hot! 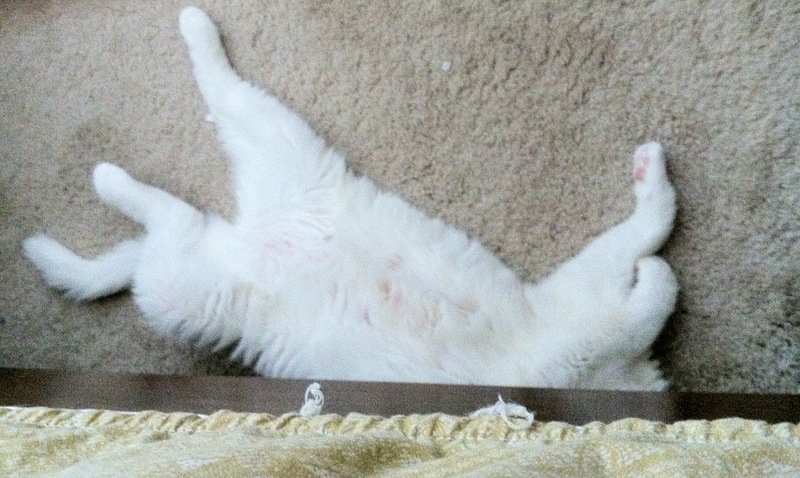 My cat insists on staying upstairs where it is the hottest and lying on her back like that too. Guess she doesn't care for air-conditioning which cools the whole downstairs. 110 degree heat should be outlawed. Hope you had a nice 4th of July.